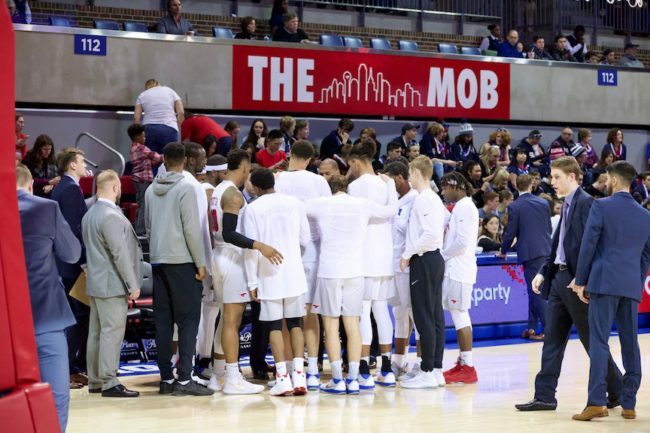 SMU (12-4) lost its first road conference game of the year Thursday night, falling 73-70 to Tulane (11-4) in New Orleans. The Mustangs seemed in control for most of the game, running a smooth offense that generated plenty of open looks. They led 33-26 at halftime. But Tulane heated up in the second half. The Green Wave used an explosive, 24-7 second half run to take a late lead. SMU eventually stemmed the run, but Tulane closed the game out with accurate free throw shooting and solid defense. Freshman forward Ethan Chargois missed the game with an illness, and his absence was felt. Akoy Agau started in his place, and while he scored eight points in a season-high 21 minutes, he did not pack the same offensive punch that Chargois brings to the table. Chargois does more damage off of the pick and roll, and even when he isn’t getting the ball, SMU’s guards have more space to operate than they did against Tulane. After the conclusion of Tulane’s big run, Ben Emelogu and Shake Milton drilled back-to-back jumpers as the game looked like it was shifting back into SMU’s favor. But Tulane did not let up. Melvin Frazier hit a jump shot to give the Green Wave a lead with 2:16 left that it would not relinquish. After Milton’s jumper with 3:50 left in the game, SMU did not score again until there were nine seconds remaining. In that stretch, both Jimmy Whitt and Milton missed critical free throws on the front end of a one-and-one. Milton’s missed free throw came with SMU down two with 48 seconds left. On the ensuing possession, Tulane’s Samir Sehic got to the line and drilled two free throws to put SMU away. Aside from his crucial miss at the line, Milton played a strong overall game. He led SMU with 24 points, shooting 9-14 from the field. Without Chargois, it seemed at times as though he was the only Mustang who could create a shot for himself. Tulane’s second half run came on offense that was mostly initiated from the post. The Green Wave’s bigger guards backed down six-foot Jahmal McMurray, and scored over him in the post. When SMU brought help, Tulane did even more damage, kicking the ball out to open three-point shooters. With the loss, SMU falls to 1-4 away from Moody Coliseum this season. 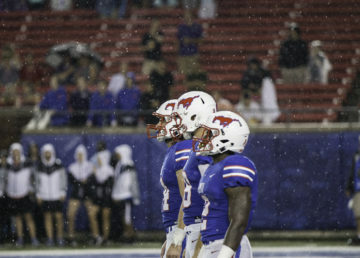 Conference play means more than half of SMU’s remaining games will be on the road, starting with a showdown in Cincinnati on Sunday against the No. 19 Bearcats. Tipoff for that game is at 5 p.m. CT.